Part of the new contemporary Parker Knoll “Evolution” range, Design 1702 has neat curved lines, finely tailored in a gorgeous array of luxurious, tactile fabrics or soft natural leathers. With its fresh, modern styling, foam padded arms and paneled back, it is sure to create an exciting look in any home. Its fully sprung seat platform and webbed back offer the maximum in support and comfort. It comes with a choice of either a static version or power recliner version, each with adjustable headrests. 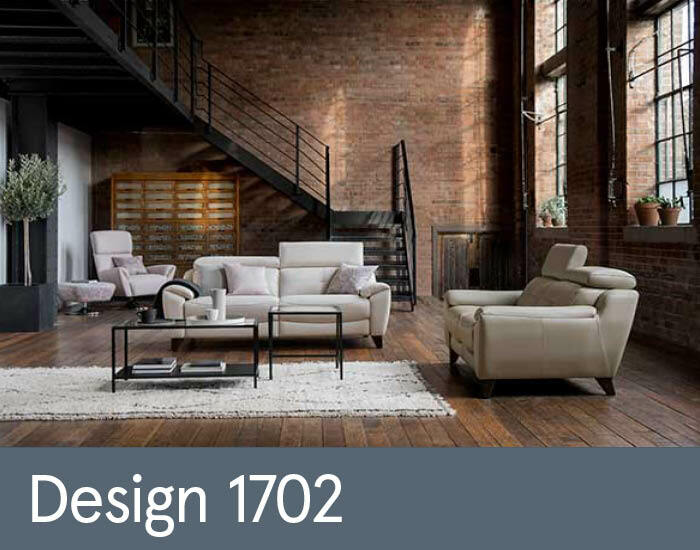 Design 1702 is not only available in choice of sofa sizes, but also as a chaise group that will let you maximise the space in your home.